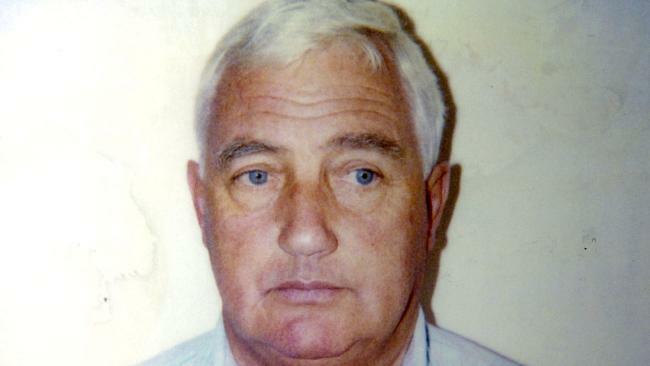 Sydney Australia’s Granny Killer committed his first murder on 1 March 1989 when he attacked 82-year-old Gwendoline Mitchelhill in the foyer of her block of flats in Military Road. He beat her around the head with a hammer and also broke several ribs. She died later that day of her injuries. Two months earlier 84-year-old Margaret Todhunter had been attacked on Hale Road, Mosman arid had A$209 stolen. On 9 May the killer struck again and 84-year-old Lady Winifreda Ashton was found strangled with her tights and beaten with a hammer near her home on Raglan Street. The following month, on 6 June, 77-year-old Marjorie Moseley was sexually assaulted at the Wesley Gardens Retirement Home in Belrose. Eighteen days later at the Caroline Chisholm Nursing Home in Lane Cove the killer fondled the buttocks of one old lady and the breasts of another before escaping. On 8 August 1989 he attacked Effie Carnie on a back street in Linclfield and on 6 October, pretending to be a doctor, he groped the blind Phyllis McNeil at the Wybenia Nursing Home in Neutral Bay. Twelve days later he assaulted 86-year-old Doris Cox and on 2 November he murdered 85-year-old Margaret Pahud as she walked home from the shops. A day later the Granny Killer struck again, murdering Olive Cleveland, strangling her with her tights just outside the Wesley Gardens Retirement Village. On 23 November he murdered 92-year-old Muriel Falconer in the hallway of her home in Muston Street. On 11 January 1990 82-year-old Daisy Roberts was indecently assaulted at the Greenwich Hospital in River Road, Greenwich. She cried for help and a nurse approached the assailant, who ran away. A sister managed to get his car registration number and the car was traced to pie-seller John Wayne Glover. However, the police did not connect the assaults to the murders and, when they went to question Glover, found that he had attempted suicide on 19 January. At the hospital they were given a note written by Glover that contained the words, “No more grannies”. Two weeks later the note was passed to the murder investigation team who finally realized that Glover was their man. Despite being put under surveillance Glover was able to kill his sixth victim. On 19 March 1990 he battered his platonic girlfriend, Joan Sinclair, and then attempted suicide by cutting his left wrist in her bath after downing Valium with a bottle of Vat 69. John Wayne Glover, an English immigrant who was born on 26 November 1932, went on trial on 18 November 1991 at the New South Wales Supreme Court. He pleaded not guilty by reason of insanity. After two days Glover changed his plea to guilty. On Friday 30 November 1991 he was found guilty and the judge gave him six life sentences. On 9 September 2005 he hanged himself in his cell at Lithgow Prison. Glover worked as a salesman for a company called Four’n’Twenty Pies.